We can safely say that most of the houses we serve in Orange County and Los Angeles have pets. Moreover, where you see pets and a carpet, you know there must be some pet stains. 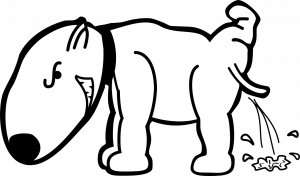 any kind of pet stain, whether its urine, throw up or diarrhea is filled with bacteria. In addition, the bacteria sinks into the carpet and from there on to the pad. The pad underneath the carpet acts like a sponge because it is a sponge. Therefore, bacteria that sits and dwells on a sponge will grow and leave a nasty odor. That is when you know its time to search for carpet cleaning pet stains around the house.Moreover, most of our new customers around Orange County and Los Angeles first try to treat themselves. Dr. Carpet Irvine is all about saving money. However, when you use over the counter pet stain treatment products, it only leaves more residue with the stain. Therefore, the bacteria from the pet stain accelerates its rate of expanding. We ask and advise our customers kindly to leave the dirty carpet cleaning work for us. How Do We Approach Carpet Cleaning Pet Stains. Dr. 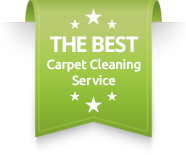 Carpet Irvine has years of experience in carpet cleaning and in particular carpet cleaning pet stains. We use a green and safe product called an “enzyme” that we use in its pure form. Removing the dissolving bacteria from any surface could happen only by using bleach or a biological extermination. Due to the fact that we could not use bleach as it has bleaching side effects, we use the enzyme. The enzyme is composed of live bacteria that fights and kills all organic bacteria. Yes, that means the dog pee or poop, and the cats throw up. Moreover, the enzyme is a safe product and does no harm to you or your pets.Contact Dr. Carpet Irvine today for more information and to book appointment. We offer same day carpet cleaning service in Irvine and surrounding cities.